Tonight, STC is launching a new book – The School Drama Book: Drama, Literature and Literacy in the Creative Classroom by University of Sydney’s Professor Robyn Ewing AM and our own Education Manager, John Nicholas Saunders. The book builds on 7 years of ground-breaking work undertaken by the STC Education department in bringing the School Drama program to classrooms around the country and honours the enduring legacy of Co-Artistic Directors Cate Blanchett and Andrew Upton in initiating that work. The School Drama program was inaugurated in 2009 by Cate and Andrew in partnership with the University of Sydney and Professor Ewing. The program teams specially-trained Teaching Artists with primary school teachers in the classroom, empowering the teachers to adapt and use drama strategies across their regular teaching practice with a focus on literacy outcomes. 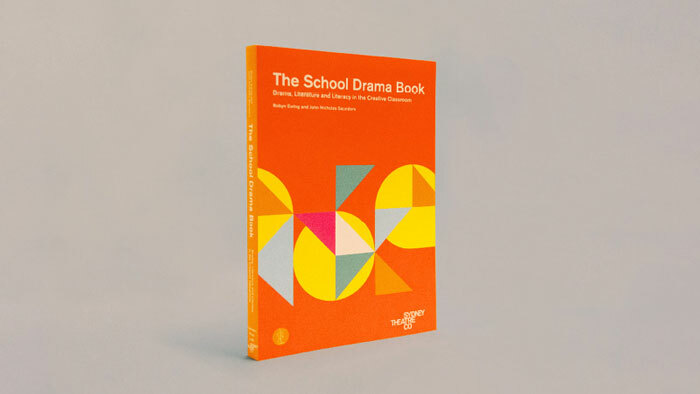 The School Drama Book was developed in response to teacher requests and combines all of the School Drama practice, research and lesson plans into one accessible, practical textbook. The book is a comprehensive resource for primary school teachers (even those with no experience in drama) who are interested in learning new techniques and activities to engage children in the classroom and provide greater learning outcomes. 22 classroom dramas: each comprised of a series of workshops that progress through common themes and texts. The book is available to purchase in selected book shops and through our publisher Currency Press. Discover more about School Drama or buy the book now.